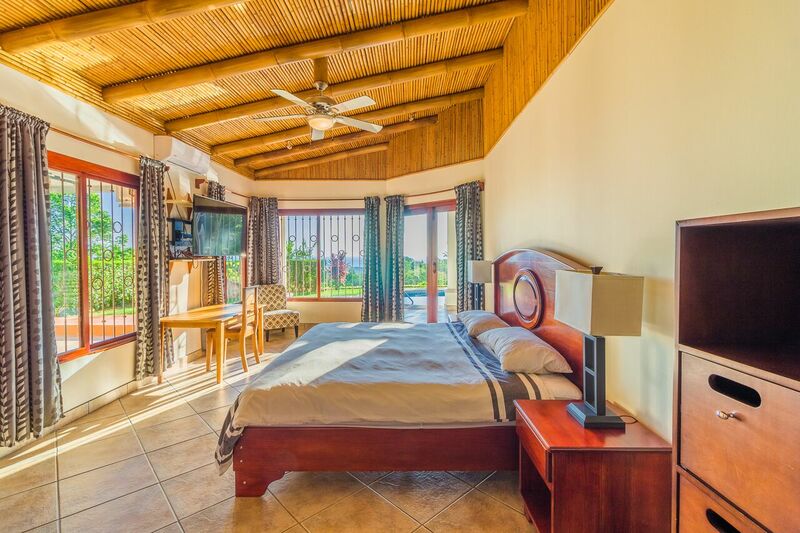 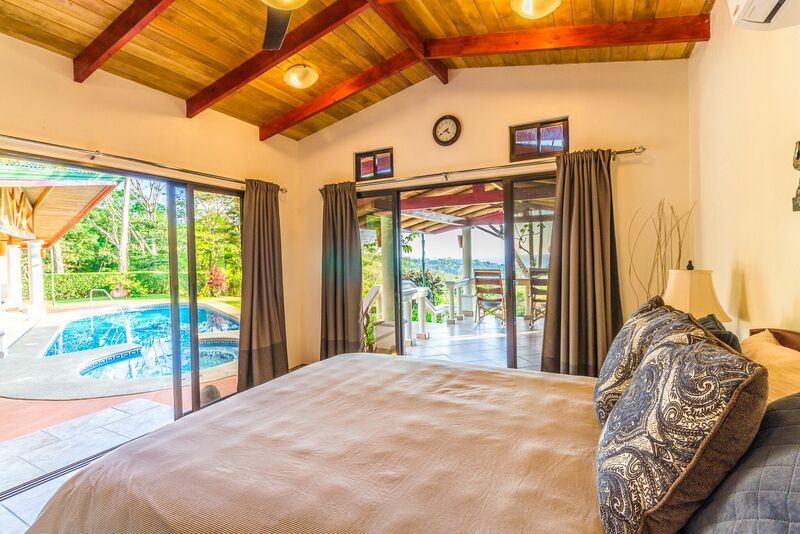 1.6 ACRES – 3 Bedroom, Amazing Whales Tail View, Pool and Close to Amenities!!! 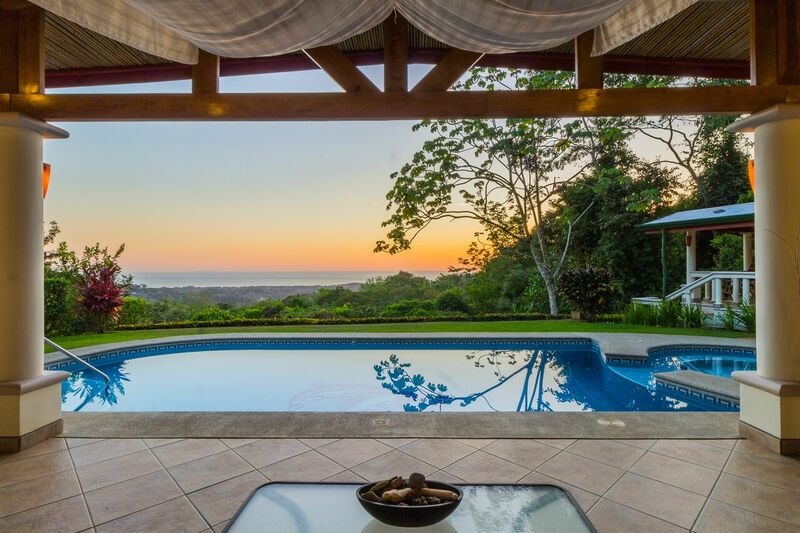 Get away from it all, while still being close to everything! 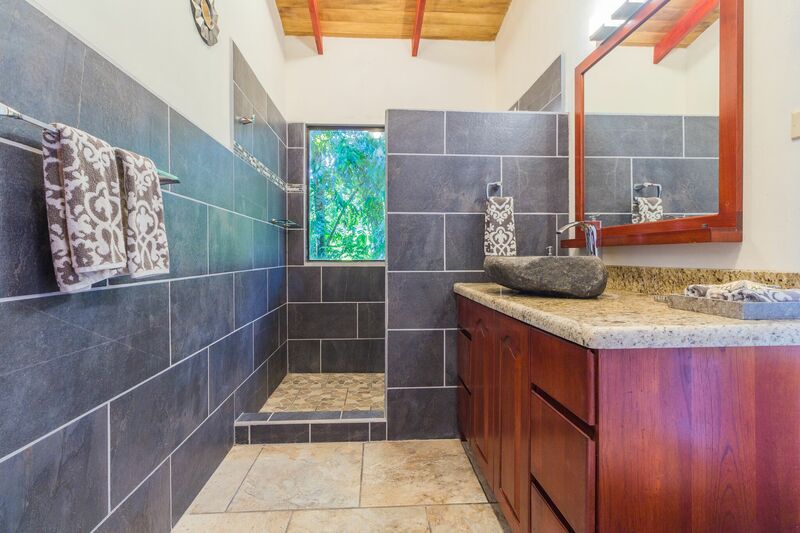 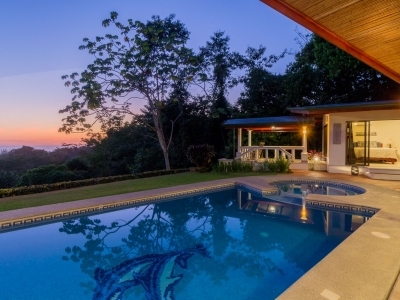 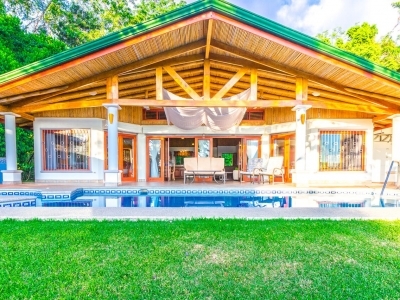 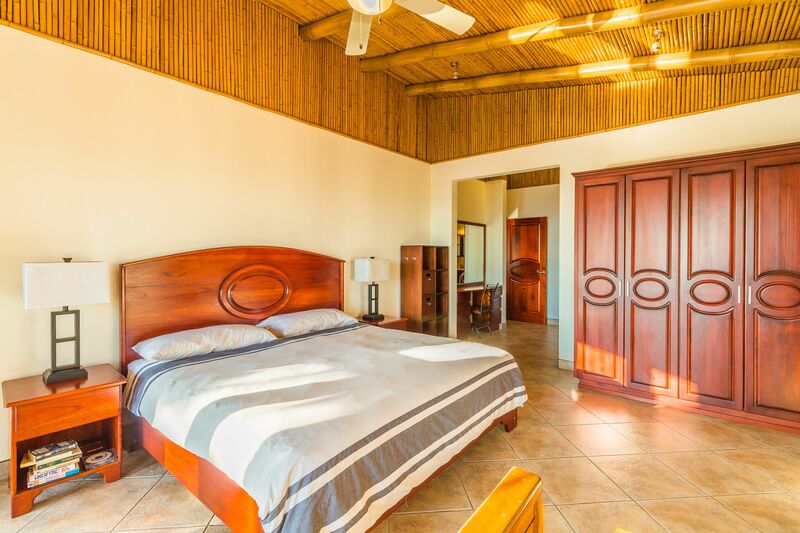 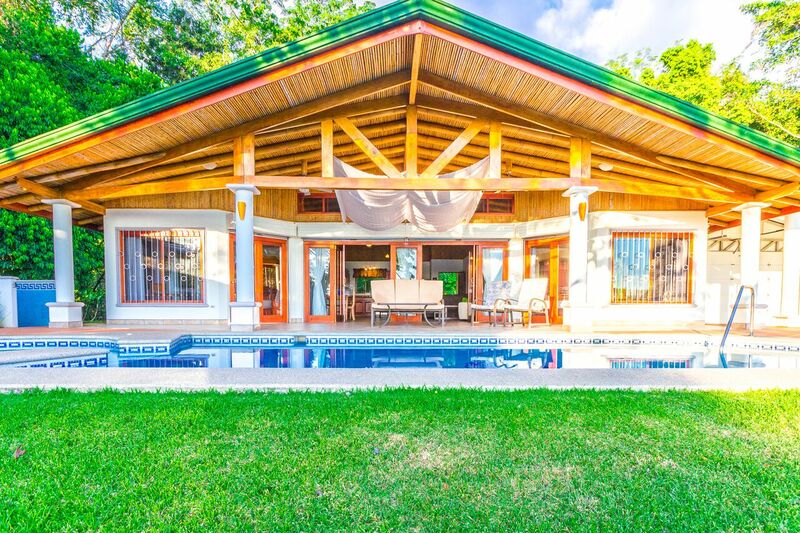 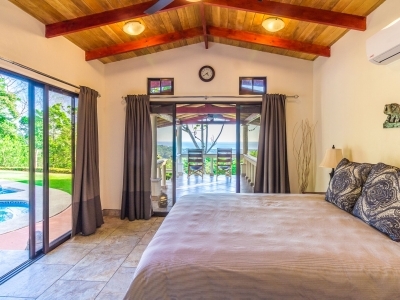 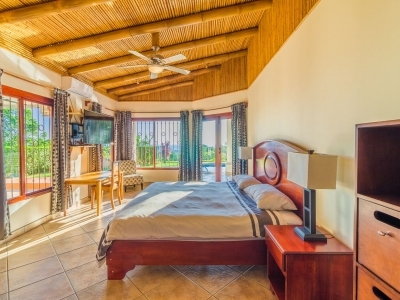 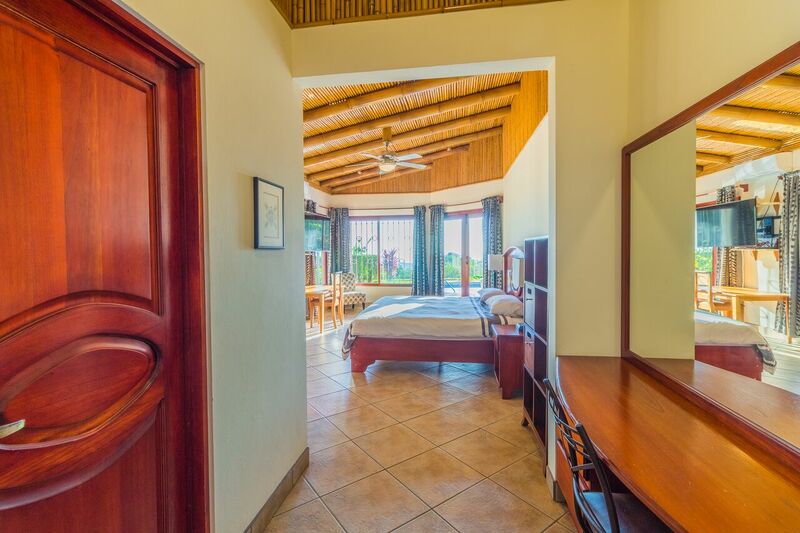 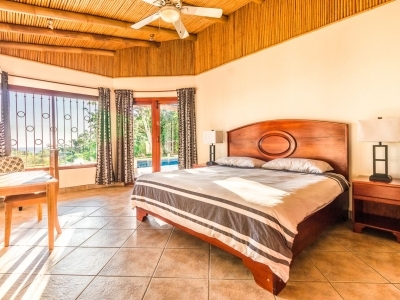 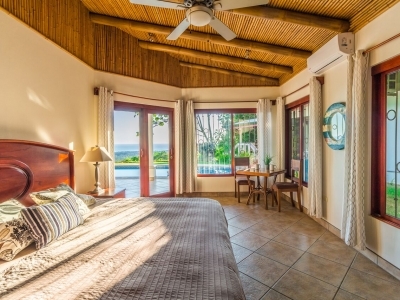 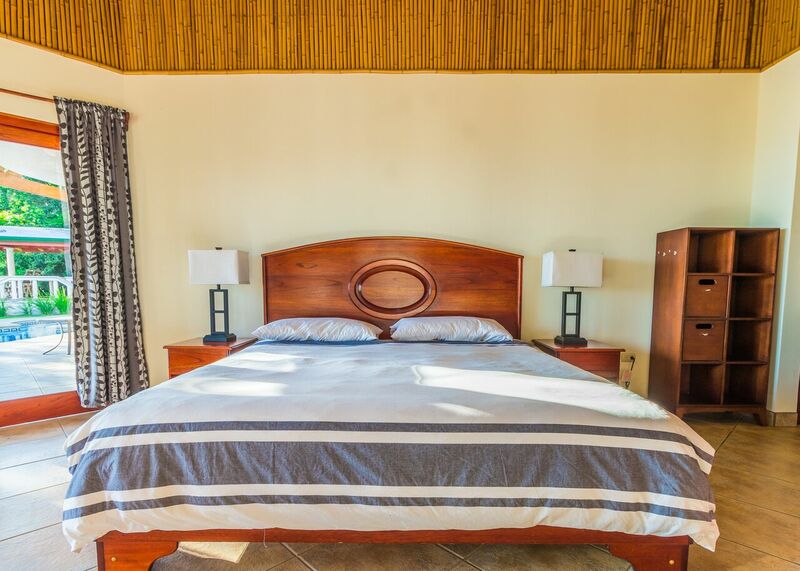 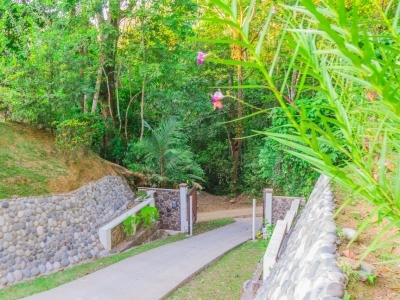 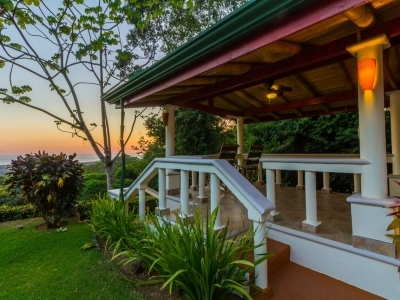 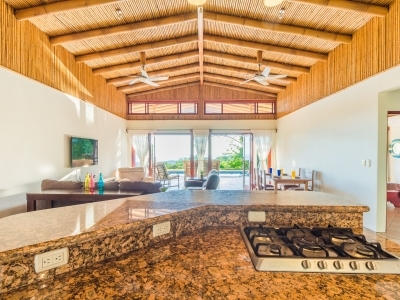 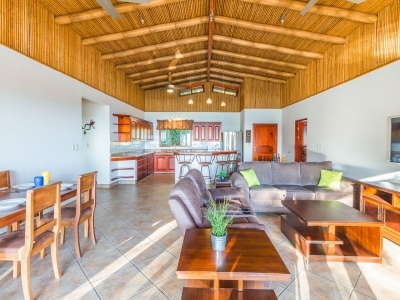 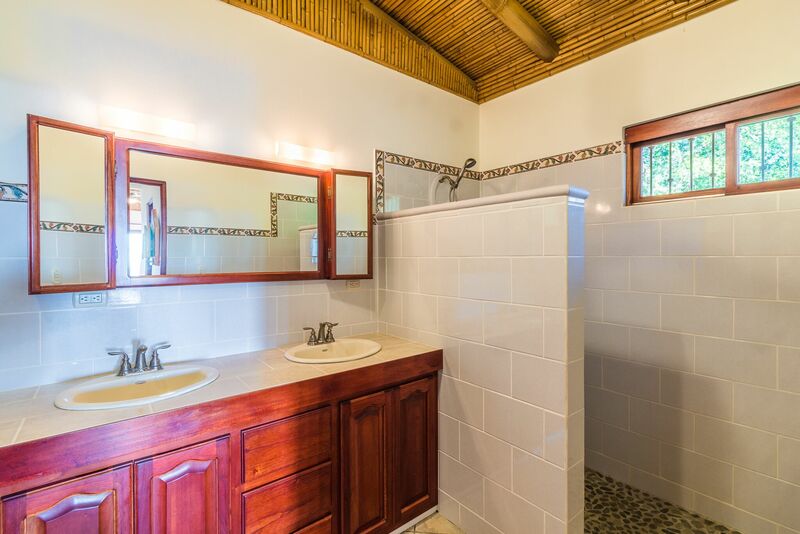 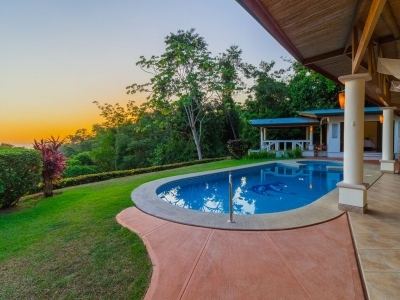 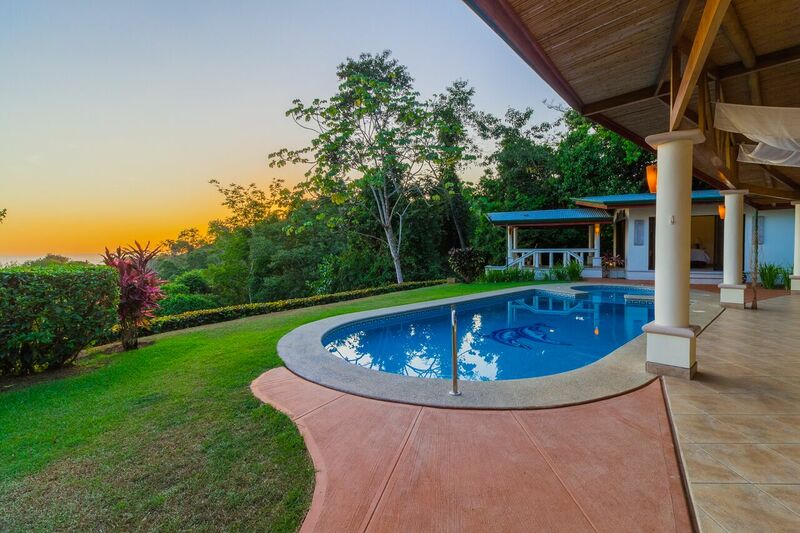 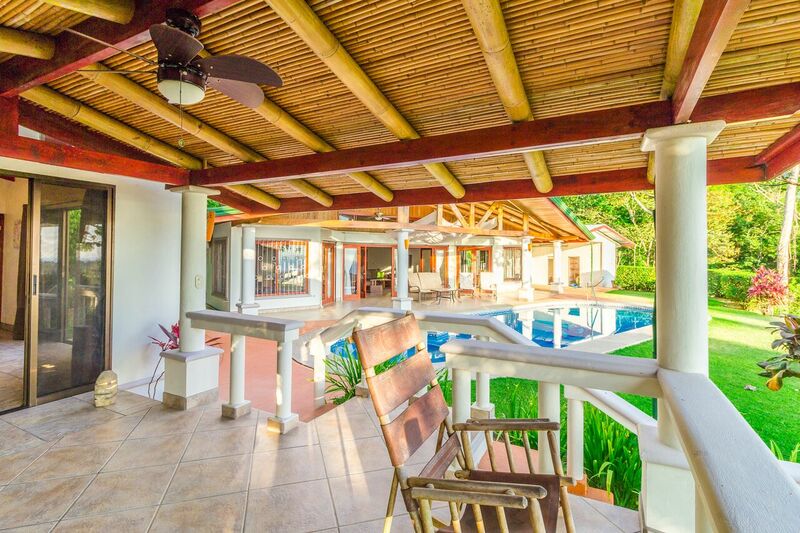 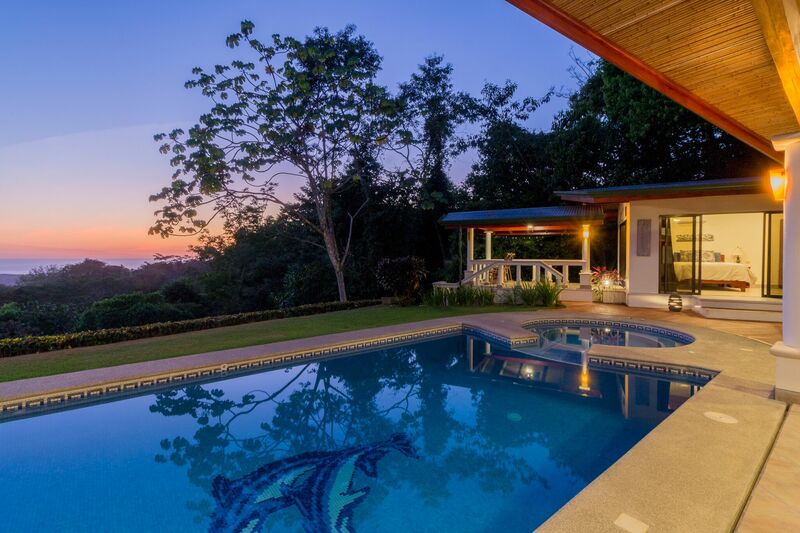 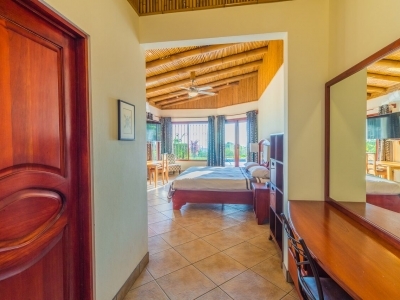 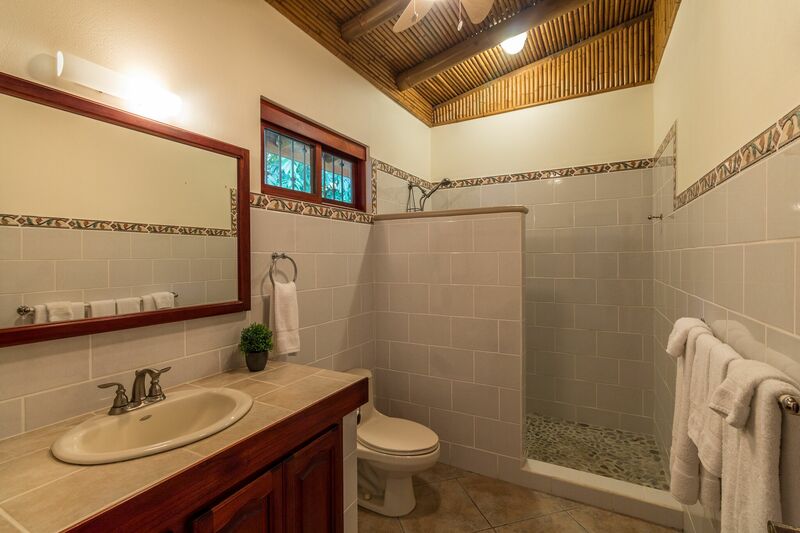 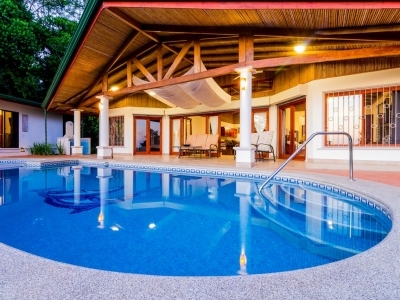 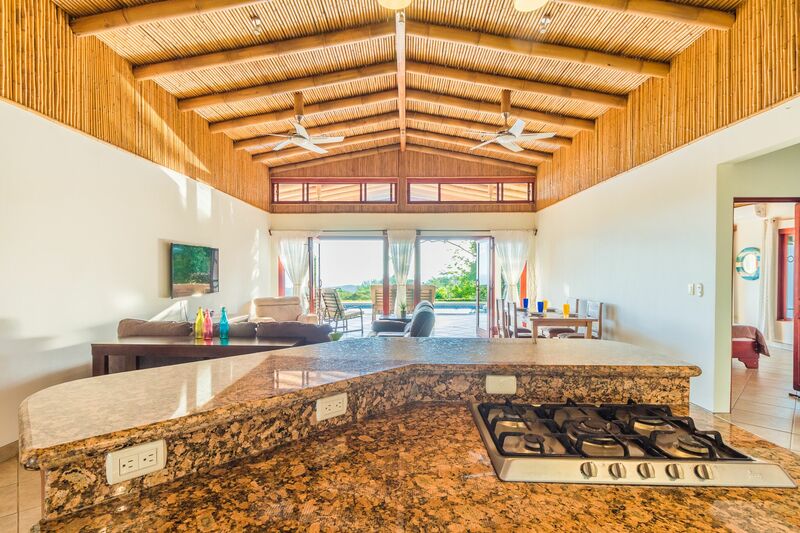 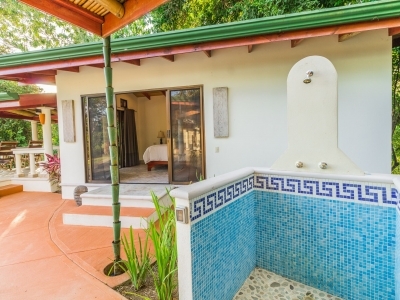 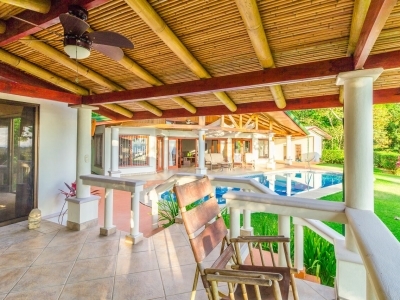 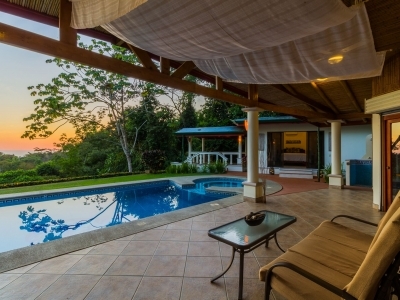 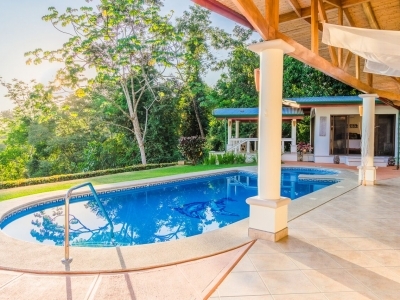 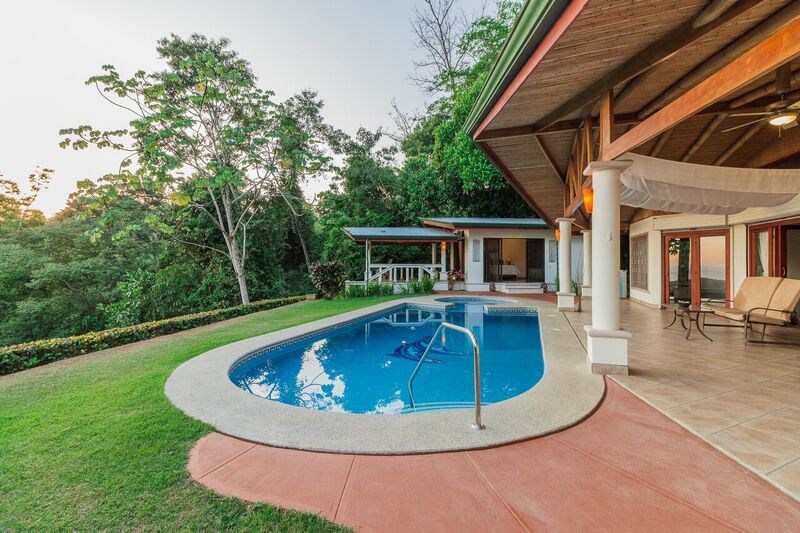 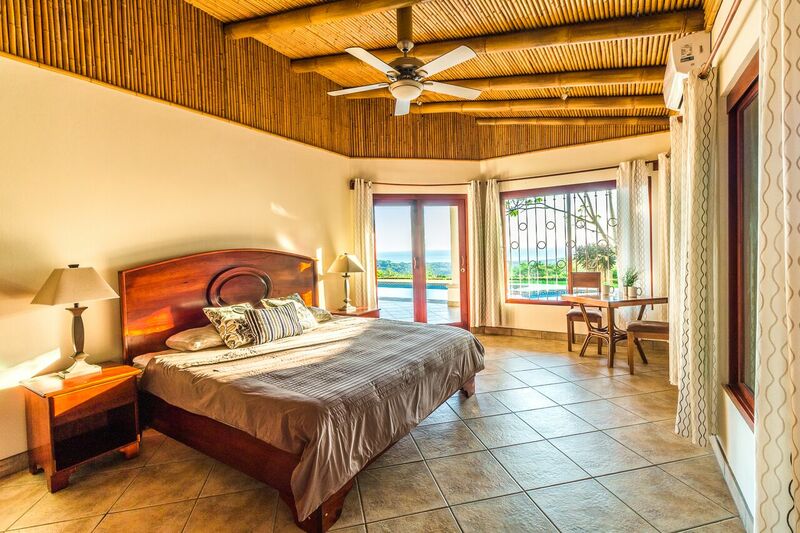 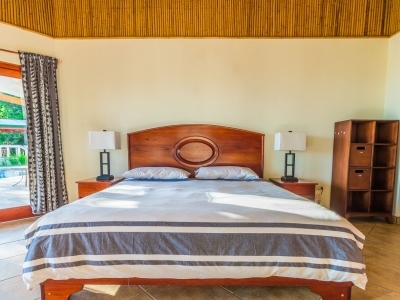 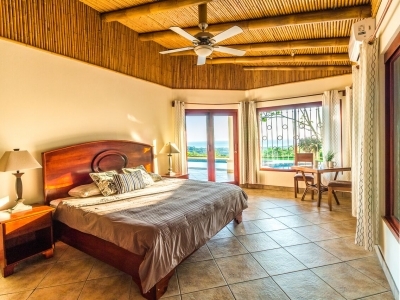 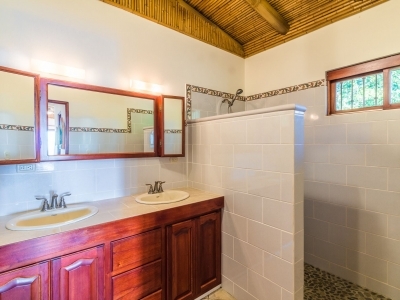 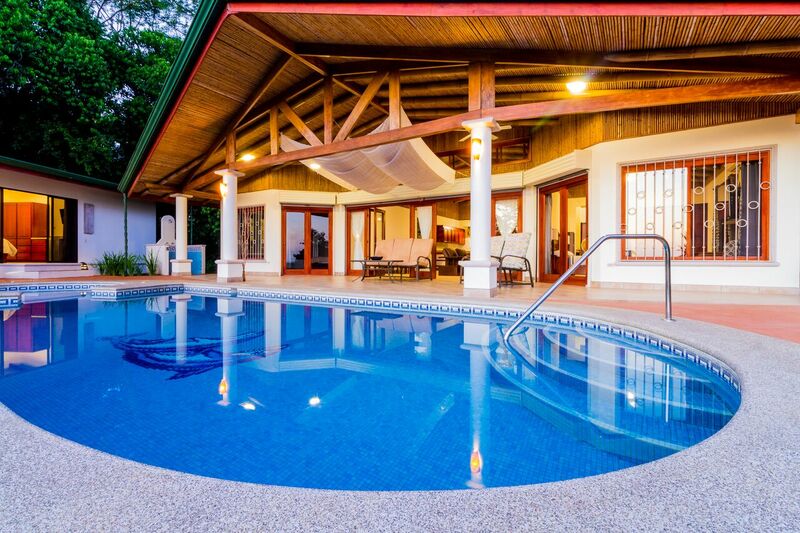 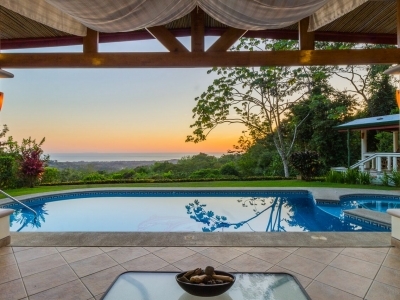 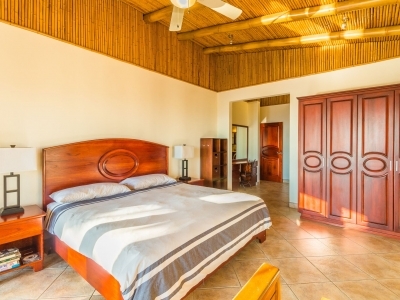 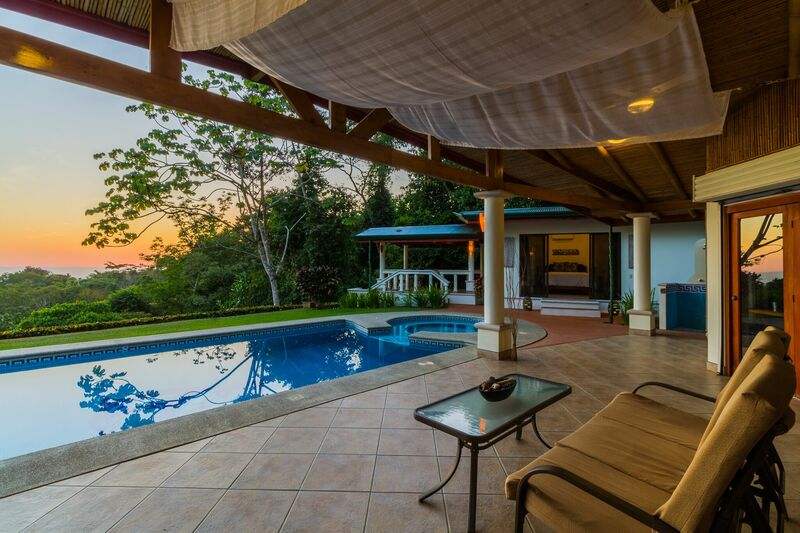 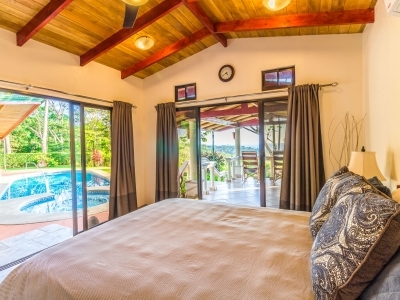 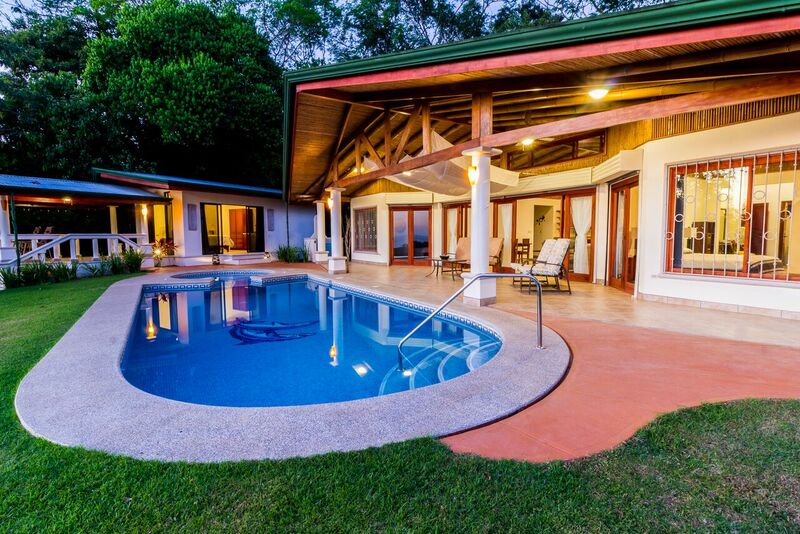 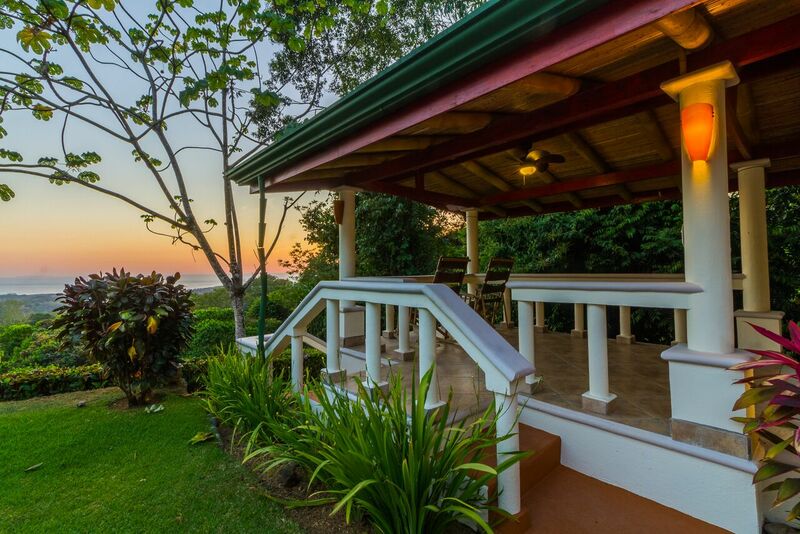 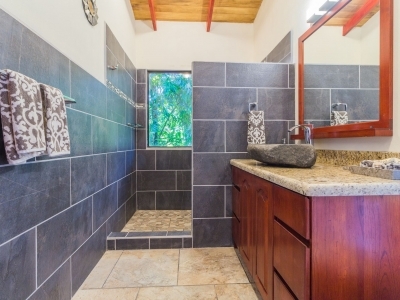 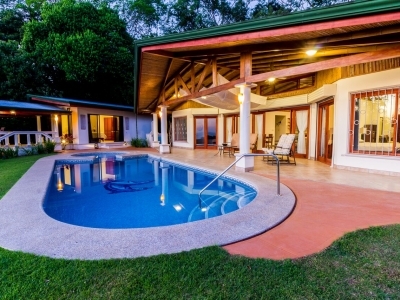 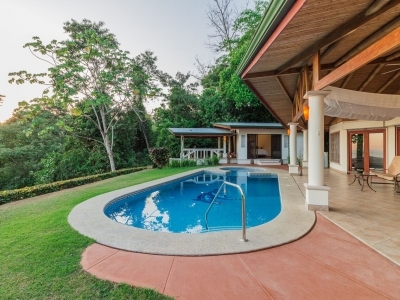 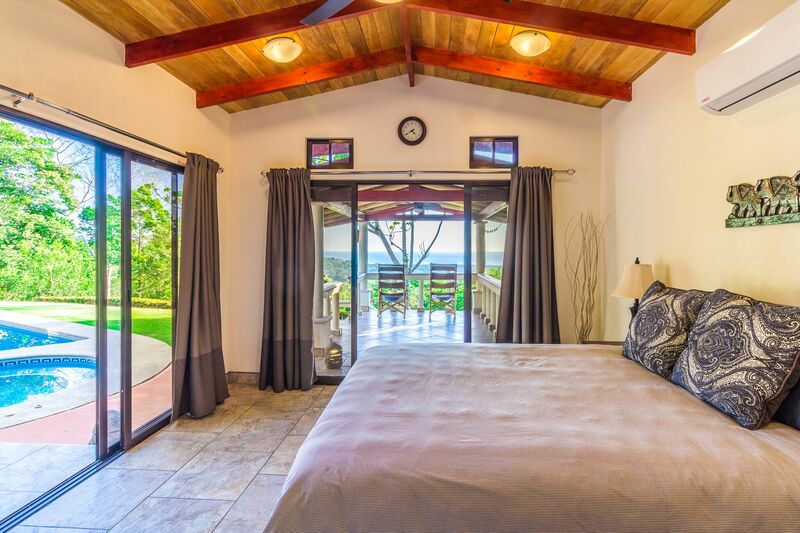 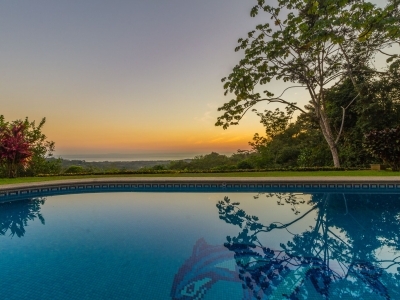 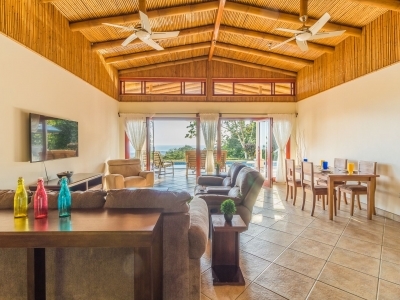 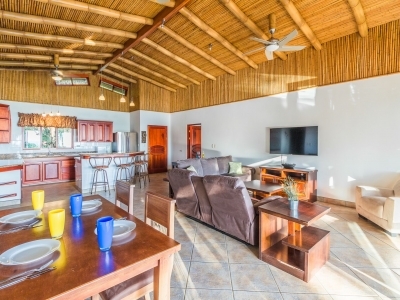 This house has an amazing location just above Uvita, with beautiful views of the Pacific Ocean. 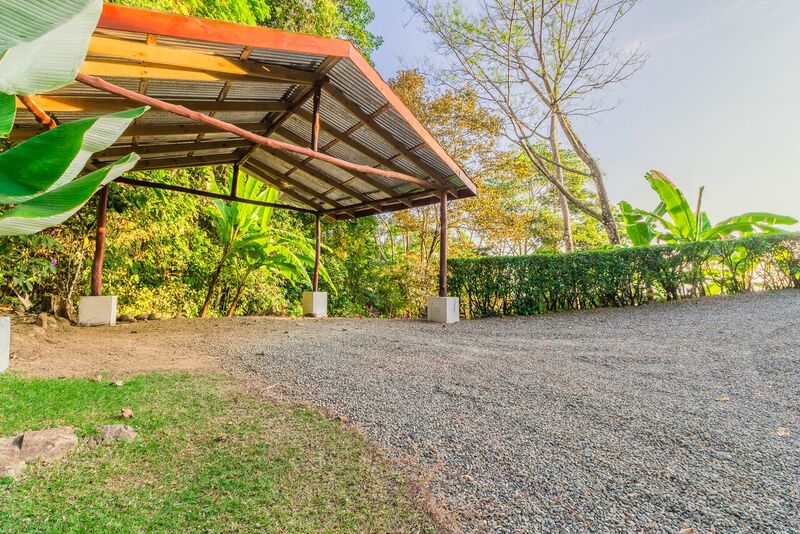 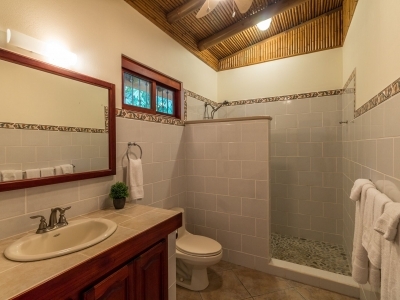 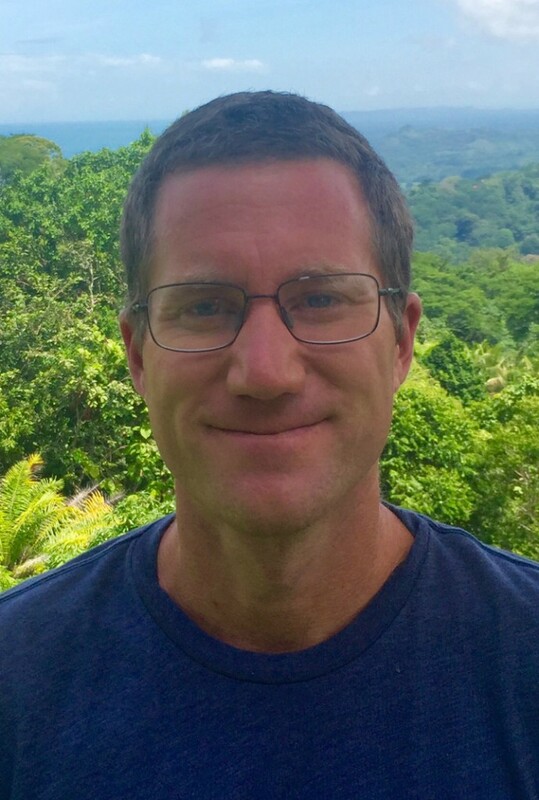 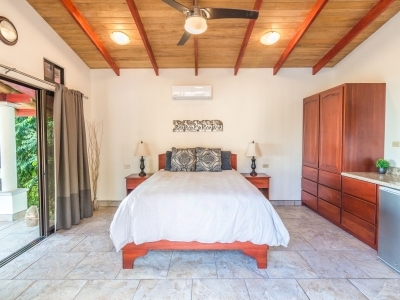 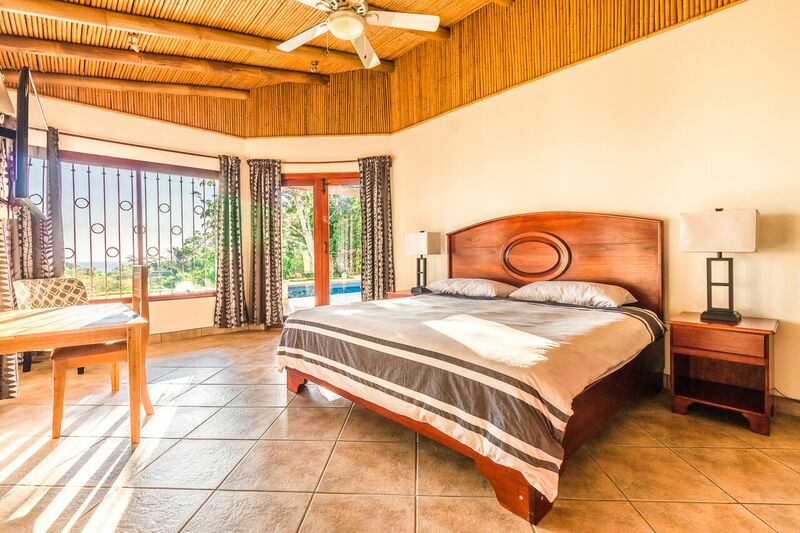 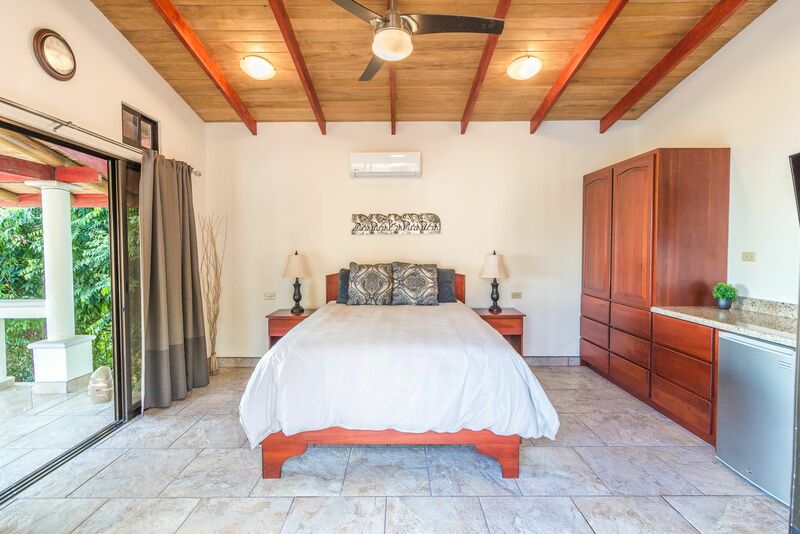 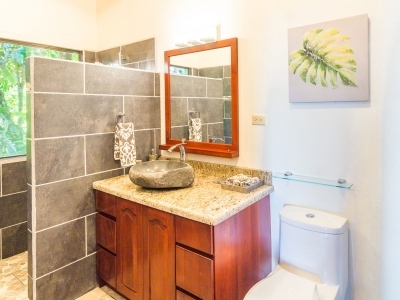 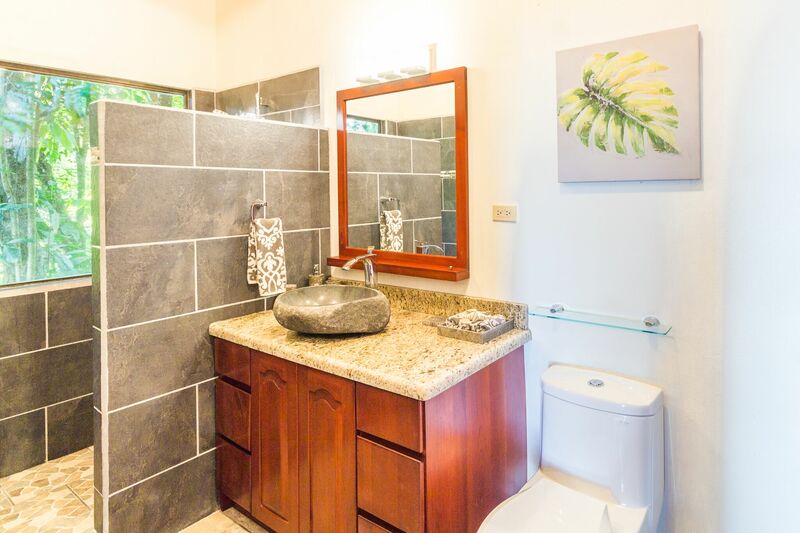 It is located just a few minutes from all of the conveniences in Uvita, including restaurants, supermarkets, banks, doctor’s offices, a veterinary clinic, and shopping. 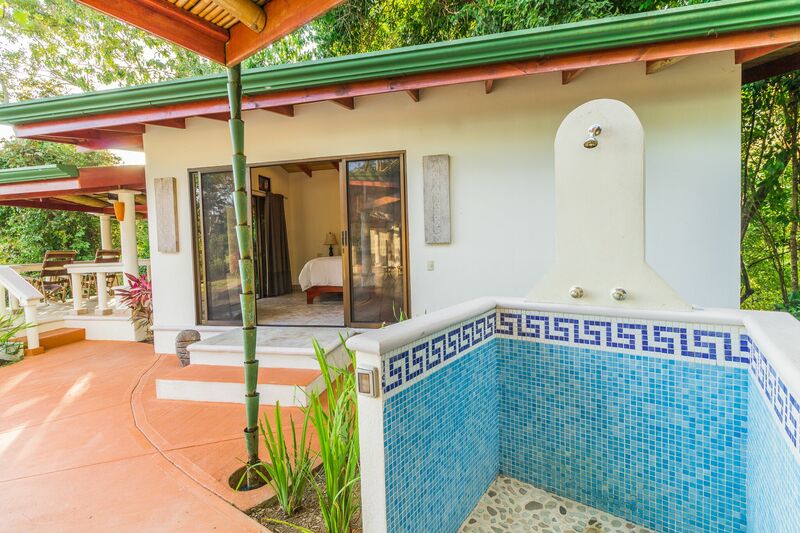 It is easy to access, but it is a private oasis unto itself. 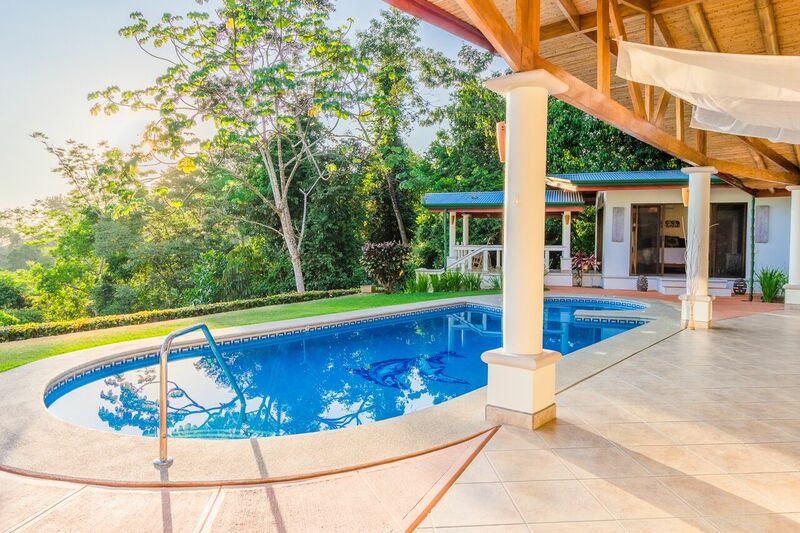 The house is tucked into a beautifully landscaped property that is full of tropical plants, flowers, and trees. 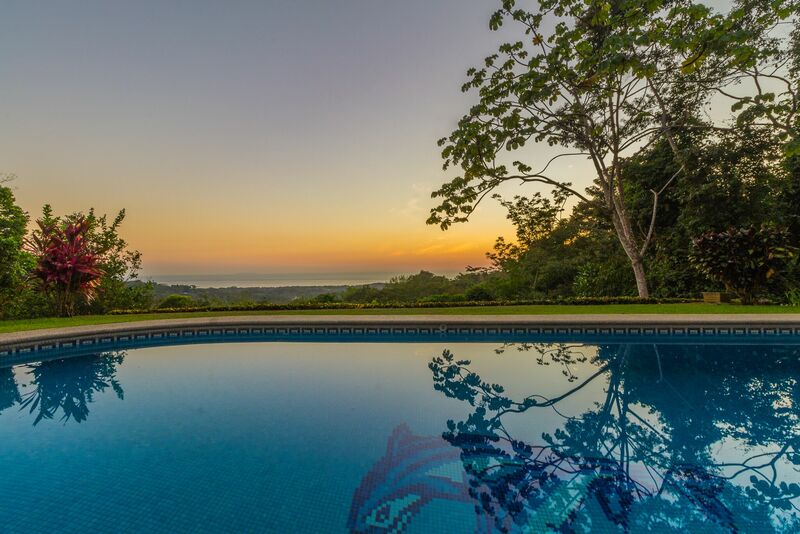 The Pacific Ocean to the west means absolutely stunning sunsets! 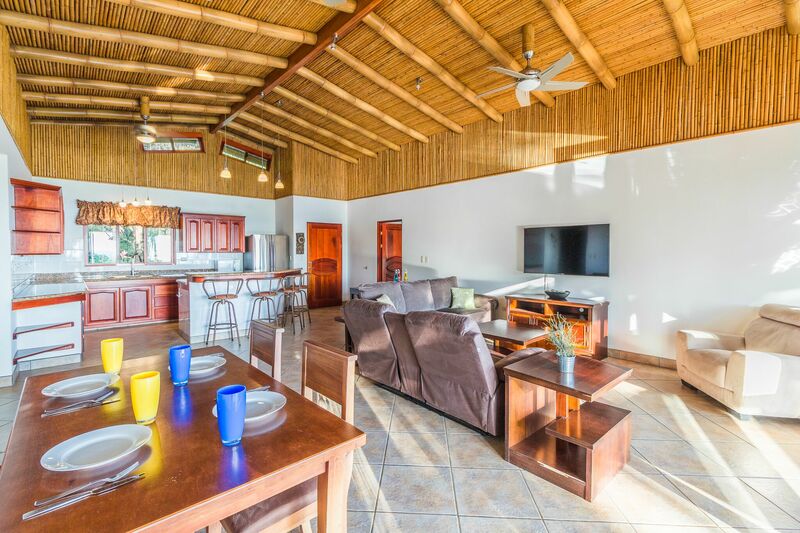 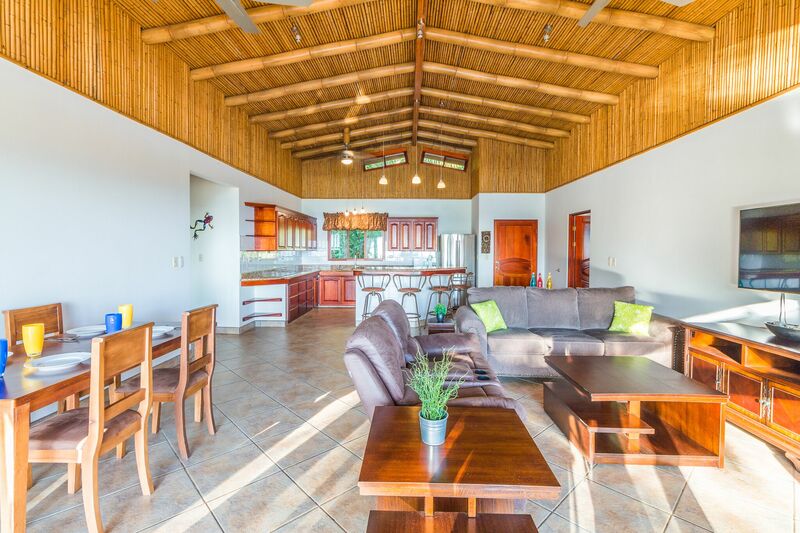 The open-concept living, dining, and kitchen area is comfortable and inviting, and there is wonderful bamboo detailing on the high ceilings throughout the house. 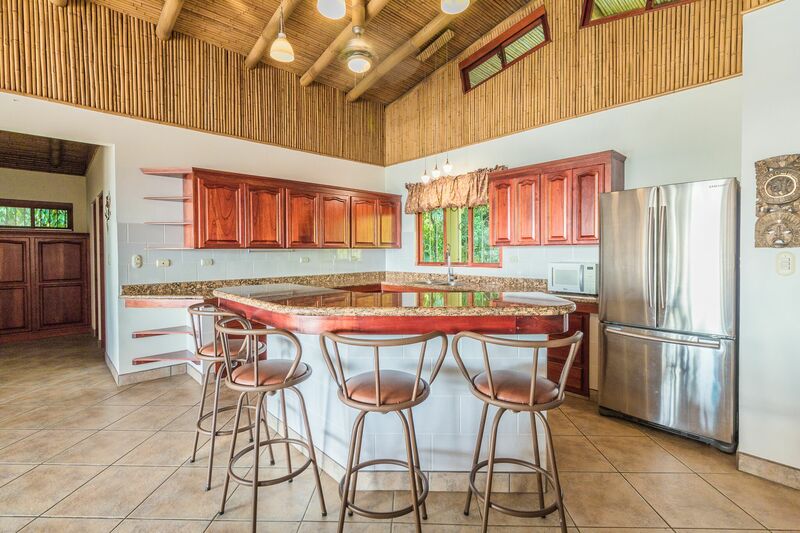 The kitchen has beautiful custom cabinets, a breakfast bar, stainless-steel appliances, a gas range, and lots of working counter space! 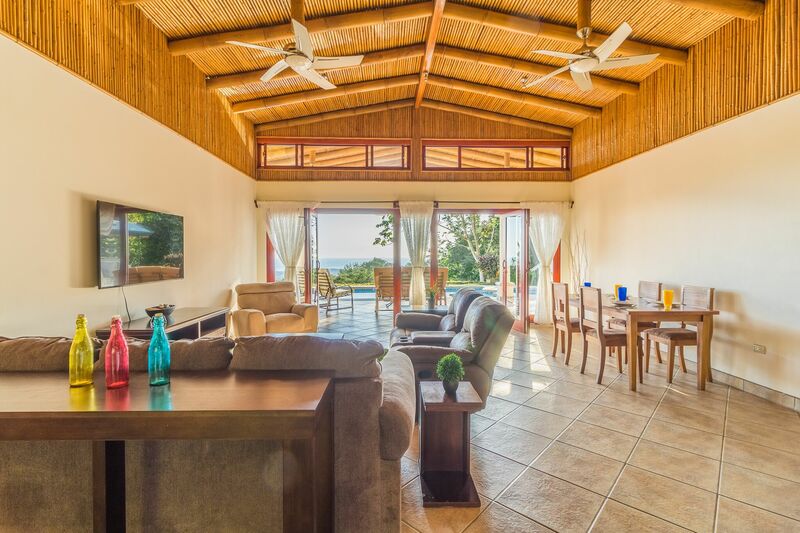 Chances are, you’ll be enjoying your meals on the huge patio, as you take in the warm sunshine and fresh ocean breezes. 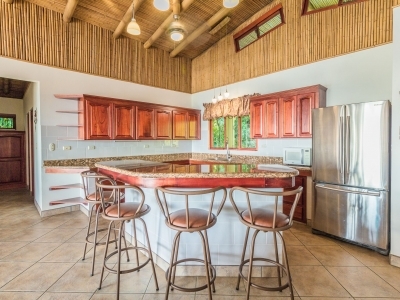 A great space for entertaining! 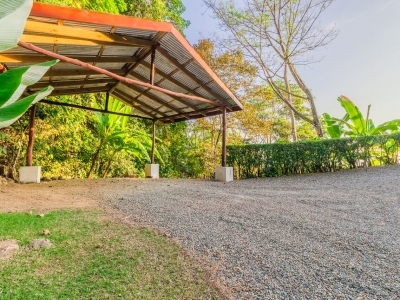 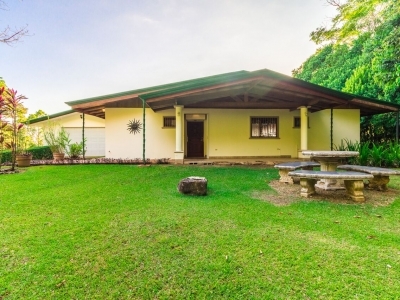 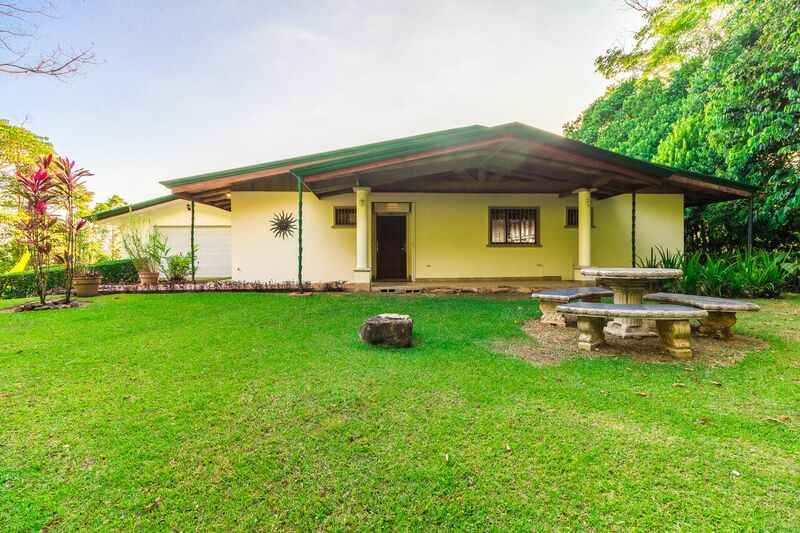 The property is gated and has garage space for parking, as well as a covered carport with plenty of space for guest parking. 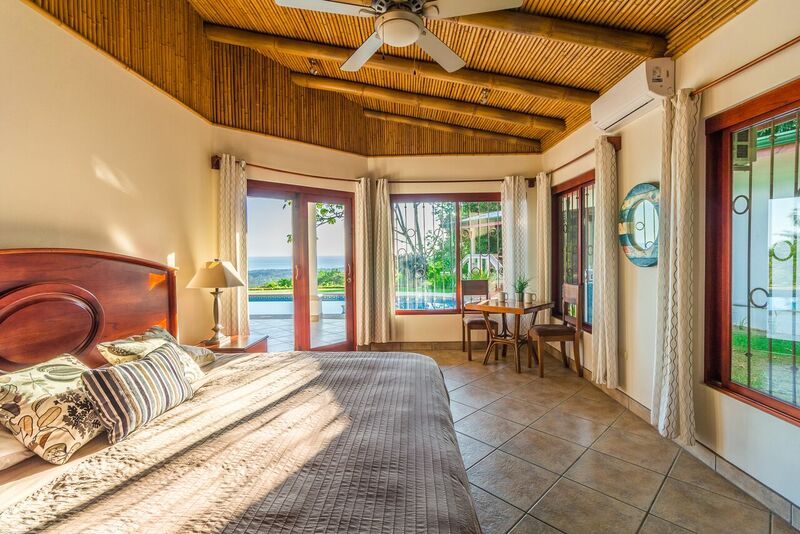 Although you’ll love being at home, don’t miss out on all the exciting activities that the region has to offer, including surfing, whale watching, waterfalls, music festivals, ATV tours, ziplining, hiking, restaurants and nightlife, and much more! 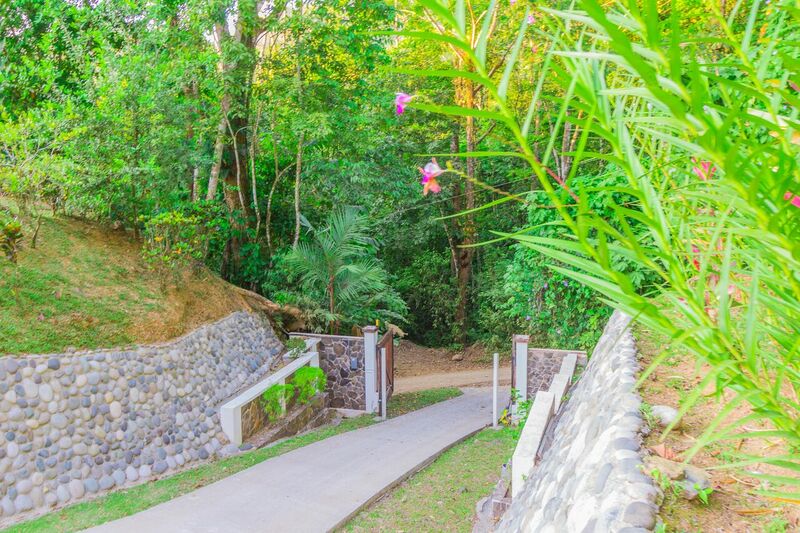 And don’t forget to keep your eyes out for monkeys, toucans, and sloths!